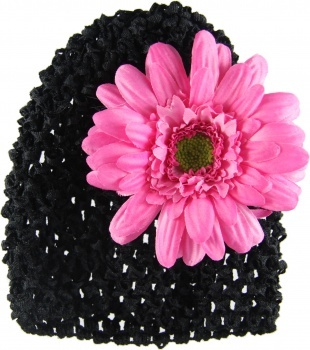 Black and Pink looks great together on this Black Beanie with Magenta Pink Silk Daisy. The daisy is attached to an alligator clip so it can slide on and off the hat very easily. Each piece can also be worn by themselves so you are getting 2 for 1.